The festive party season is here. But with so many invites, from cosy nights in to proper parties, it’s difficult to know what to wear, and when. So we’ve done the hard work for you and put together some of our favourite outfits to cover your diary. Laid back chic meets festive frenzy. Throw on these coated jeans, this quirky robin jumper and pair with heels to take your outfit seamlessly from day to night. Just enough sparkle to feel special, without over doing it. All in black, because black will always be the new black. This outfit’s all about the textures- just check out the ponyskin clutch bag! Smart, sophisticated yet effortlessly cool. 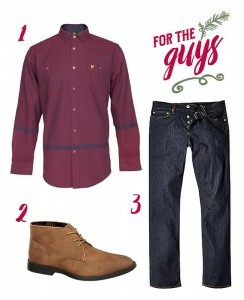 An outfit that ticks all the festive boxes. From your meal to the night out to a day with family, we’ve got what to wear at your Christmas party covered head to heel. 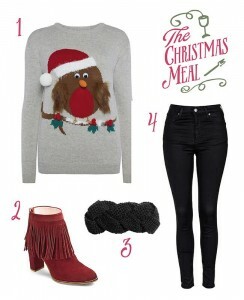 Share with us your festive fashion choices on Twitter @therockbury.